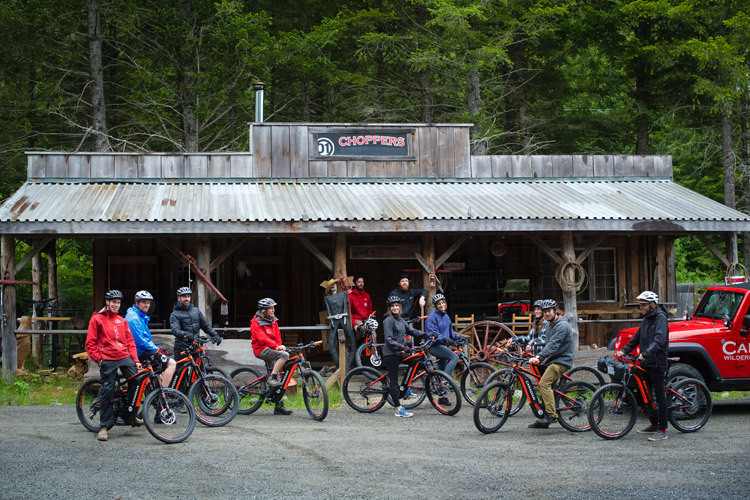 There’s no need to be a high-test adrenaline junkie in order to enjoy Whistler by bike – you just need to be willing to go with the flow. 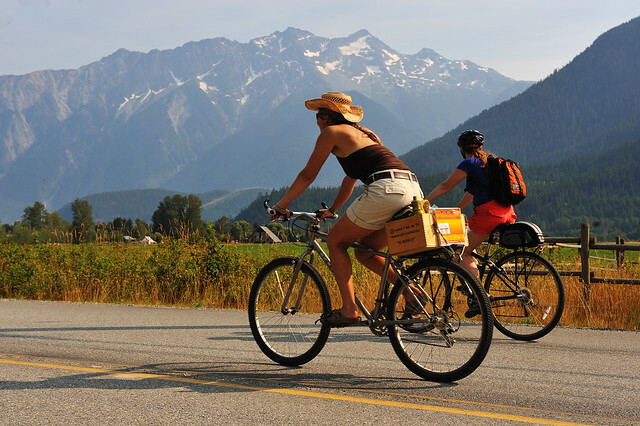 Here are my favourite slow cycles and cruiser adventures to check out this summer. Roll with Whistler’s Canada Day Pedal Parade One of the highlights of my year in 2010 was the chance to relive the Olympic vibe all over again on Canada Day. The cheering crowds and feeling of pride and acceptance had even this English native waiving the Canadian flag with vigour. 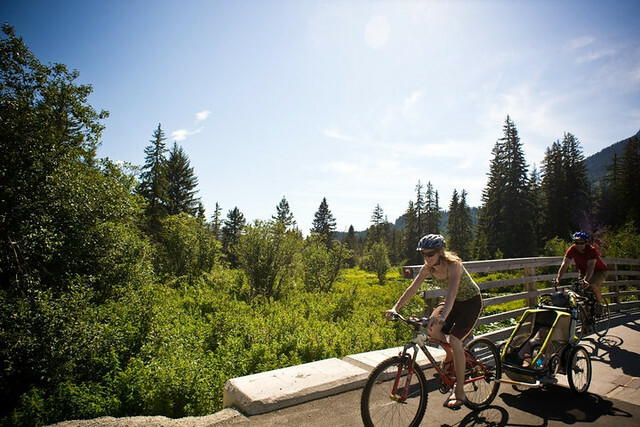 Secret spots along the Valley Trail Linking the communities of Whistler, the paved Valley Trail system spans 40km and is the perfect “artery” to allow you to explore all Whistler’s lakes and parks. My dog, Yuki, and I love to pedal around Alta Lake to Lakeside Park – a great spot for a BBQ with friends after work or to grab a kayak for an impromptu paddle. Wayside Park is a little gem wrapped around by huge trees – it’s my go-to stop to let Yuki have a drink and catch a little shade, a necessary moment of chill for a dog built for -20 degree Celsius conditions. 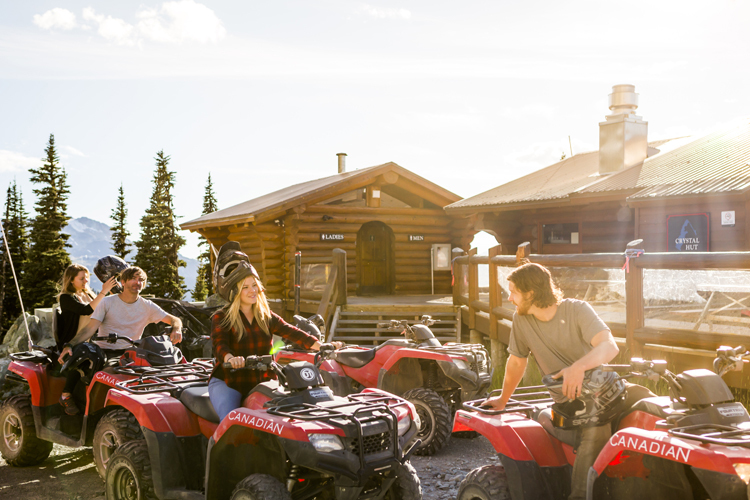 Further along the trail, the Nita Lake Lodge’s cafe offers a caffeine fix with a sunny deck or full-service bar and restaurant overlooking pristine Nita Lake. My secret spot is just off the Valley Trail, past the Alta Lake Station House where art workshops are held throughout the summer. Tucked into the woods by the lake behind the house, two giant-sized wooden chairs look out across the lake. A lovely secluded place to relax, I love to open a good book, wedge myself in one of the chairs and only move when I can no longer hear the dog rustling in the bushes. Carrying on the Valley Trail takes you to you Rainbow Park with its volleyball courts and popular dog beach. The trail then leads you back towards the village by the the River of Golden Dreams and the Whistler Golf Course, where naturalised landscaping policies make for great bear spotting opportunities. The place for mini-gladiators to crank it up. 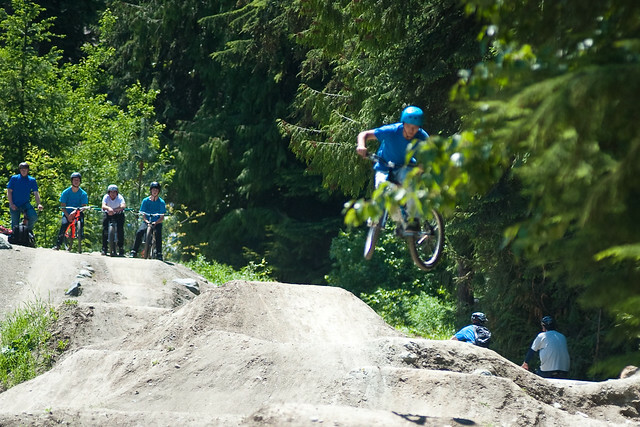 If you’re looking for a little more biking action, head to the Pump Track. A pump track is a continuous loop where the biker shouldn’t need to pedal. Rollers are mounds that you ride over, varying in height and length. The idea is that you use your body to compress the bike into the ground as you ride over it. Eventually you will pick up speed and look like a pro. 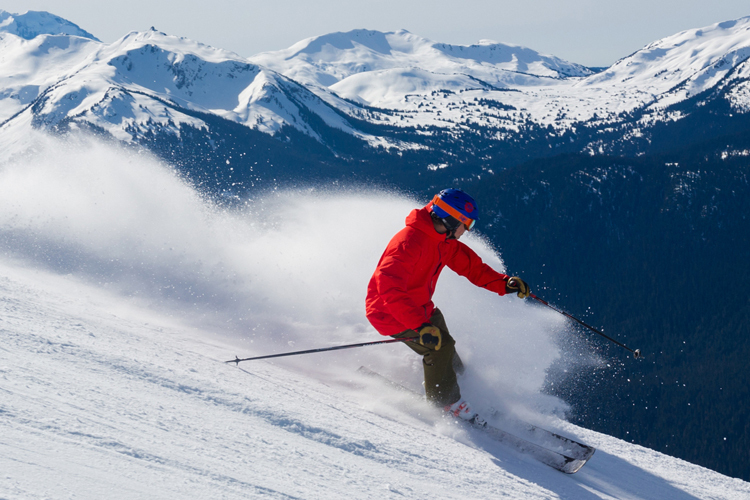 A berm is the banked section of a curve; they allow you to pick up speed around corners. It you try and run around one on foot, as I have done, you will notice that gravity has a profound effect. This is a fun and safe way to have a go at some of the more technical elements of mountain biking. 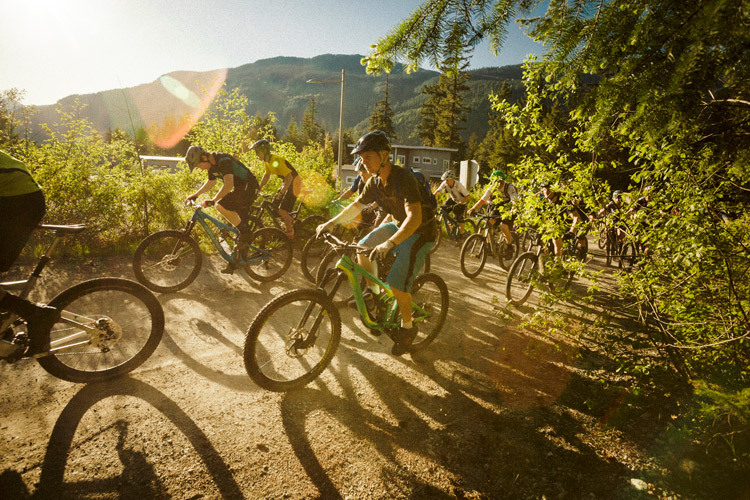 Age is no boundary – beginners and kids put their skills to the test over the series of rolling hills and berms. The features are designed to build balance, upper body strength, and get that biking “flow” going. 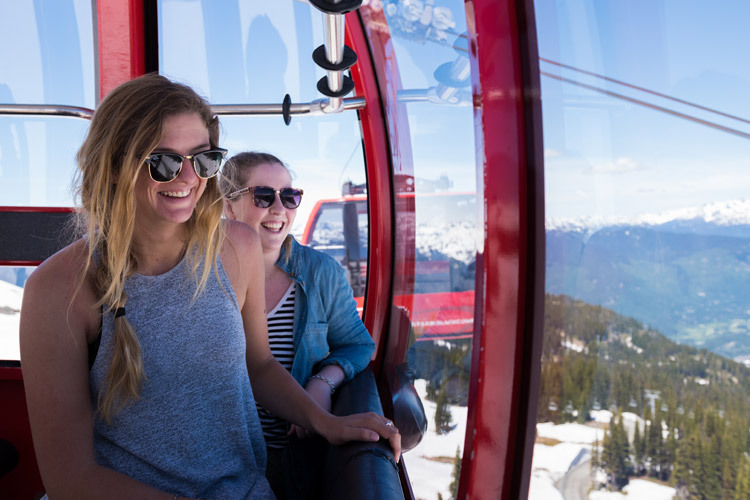 If you want to see how the big kids do it, then grab an ice cream or gelato and head to the bottom of Whistler Mountain. 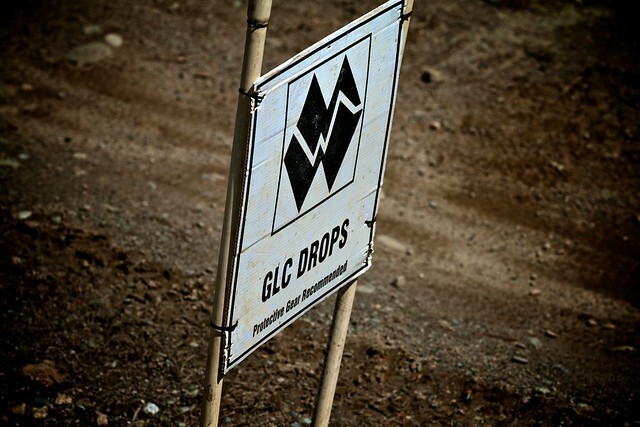 It is impressive to see the hoards of riders upload in their full-face helmets and armour, then watch them storm down the mountain right in front of you, as you cheer and gasp as they tackle the infamous GLC drops to the right side of the mountain. Slow Food Cycle’s moveable feast. Slowing down the pace, but not the excitement, ride all the way back to the land for a reverse Farmers’ Market on Sunday August 21. 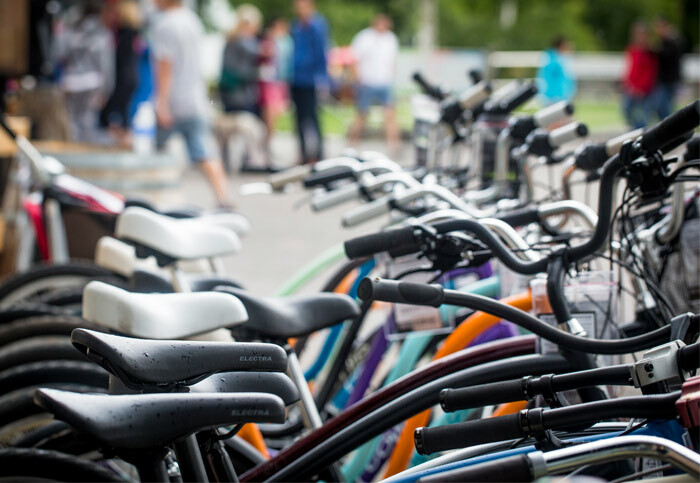 The Slow Food Cycle Sunday is a free event that draws hundreds of riders each August. 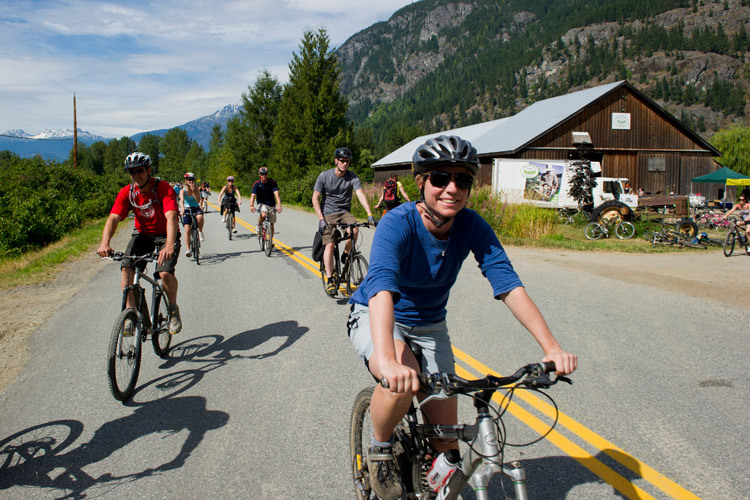 Pemberton’s annual farm-to-farm cycle tour and festival of food, the ride covers 26km (one-way) of flat, paved road, through spectacular scenery, with a host of local farms opening up their gates and hosting chefs, musicians, artists, and pedal-powered locavores. You can often find Dee exploring all Whistler has to offer with her faithful companion Yuki - the craziest wolf dog in Whistler. 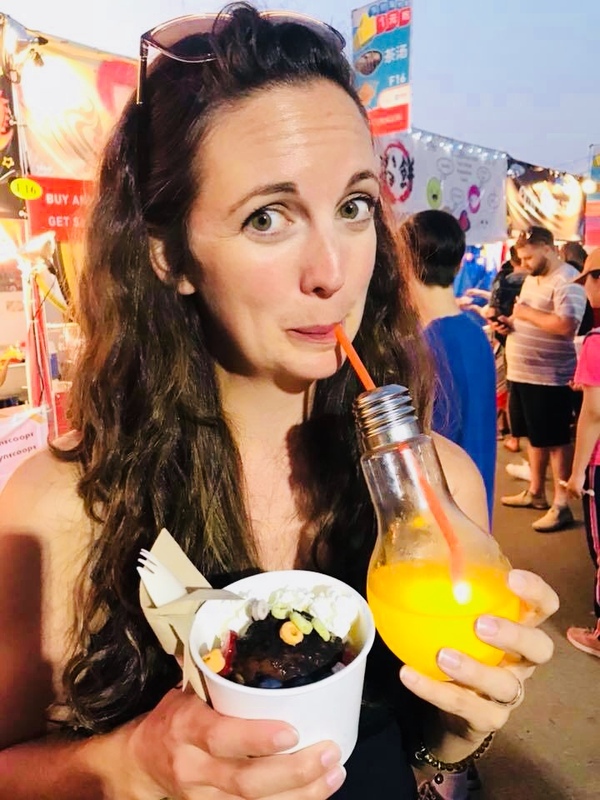 Dee enjoys balancing out high-thrills adventures with down-time basking in the beauty of the wonderful place she now calls home.